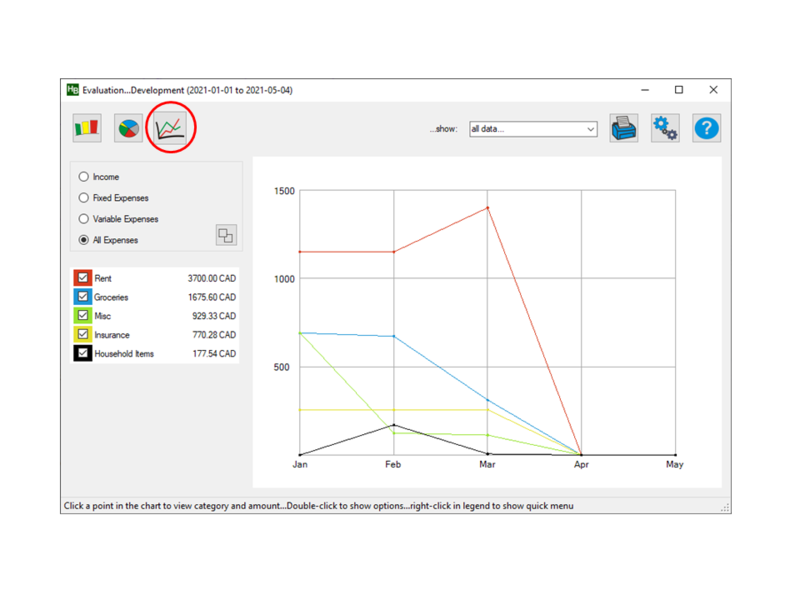 In addition to the graphical overviews, Household Accounting Book 7.0 PREMIUM enables you to create detailed charts of the distribution of you categories and sub-categories. With the full versions you can show the development of your income or expenses over a defined time-span (e.g. over a year). 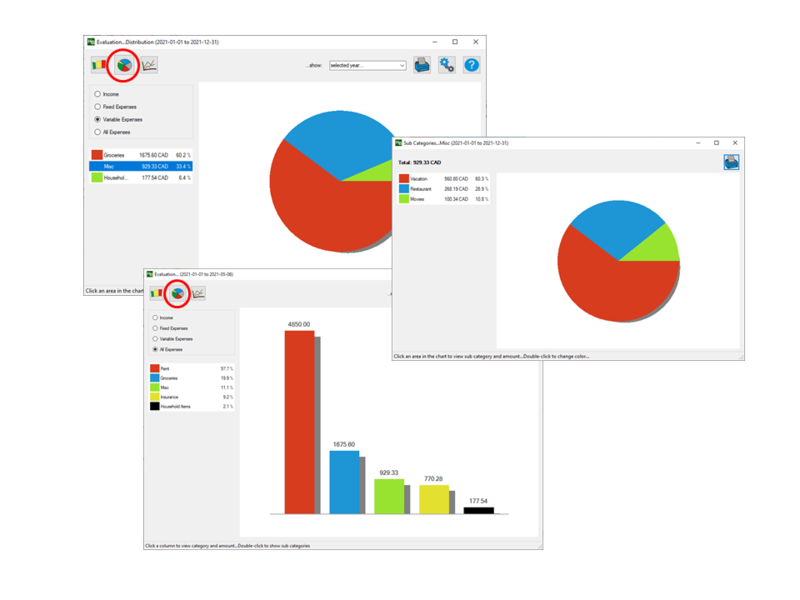 ...in addition, the full version allows you to print all graphic charts. The payment is very simple and absolutely save. In only 3 steps you can obtain your full version.